Everything you need to know about living & working in the City Of Oaks. What's It Like In Raleigh, NC? As the state capital, Raleigh offers everything one would expect to find… museums, theaters, shopping, dining, and plenty of activities. What makes Raleigh stand out? Raleigh blends southern charm with modern excitement. Raleigh is a renowned research and tech hub, but people aren’t too busy to be friendly and helpful. Raleigh is known as the City Of Oaks, thanks to its many oak trees. Residents and visitors alike love the towering oaks that line many streets and provide cooling shade in the summer. Together with Durham and Chapel Hill, Raleigh is a part of the Research Triangle - a high-tech research and development center located in Durham County in between the three cities and their respective universities. Raleigh is made up of communities that offer something for everyone. Want a posh condo in the city? You’ll like downtown Raleigh. Want a beautiful estate home in an equestrian community? Check out North Raleigh. Searching for a home in an up-and-coming community? Hurry and look in Midtown. Plenty of housing options: Raleigh offers everything from traditional single family homes to posh modern townhomes to luxury equestrian estates. Excellent schools and universities: Parents will find a plethora of schooling options including Wake County public schools, charter schools, and private schools. The area is well known for its higher learning, and Raleigh has 11 traditional colleges and universities. Access to healthcare: As the state capital, Raleigh is home to High Performing hospitals and many healthcare facilities. Great shopping: From malls to specialty boutiques, Raleigh has whatever you’re looking for. Fantastic restaurants & breweries: Whether you’re looking for a world-class dinner, delivery, or craft beer, you can find what you crave in Raleigh. Things to do: From live music to festivals, there’s always plenty to do in Raleigh. Connectivity: Raleigh regularly tops the list for places with the best broadband and WiFi access, including fiber. WiFi is even provided for free in Downtown Raleigh! Work/Life Balance: You can live and work well in Raleigh. Employment opportunities abound, as do parks and recreation options. Where is Raleigh, North Carolina? Raleigh is an integral part of our region, the Research Triangle area. It is both the county seat for Wake County and our state’s capital. Raleigh is neighbored by the communities of: Durham, Cary, Garner, Wake Forest, Rolesville, and Knightdale. Raleigh is located in the Piedmont region of NC, and it is only a couple of hours car ride from both mountains and beaches. As noted above, Raleigh offers a wide variety of housing options. 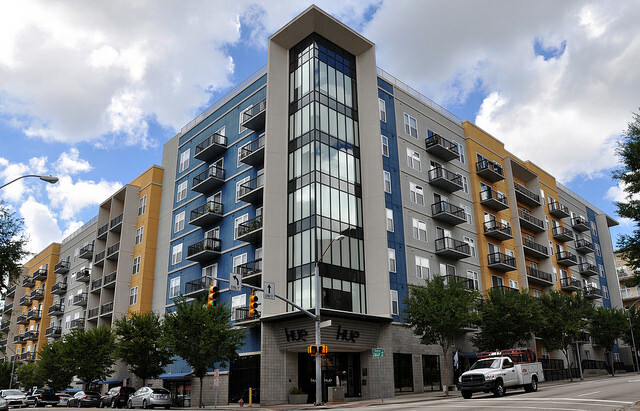 From new $1M+ downtown condos to reasonably priced single-family homes, Raleigh has something for all needs and budgets. If you’re looking for an attractive condo in the Raleigh area, a few of our top-rated buildings/complexes include Gardens on Glenwood, Palladium Plaza, Founders Row, Caraleigh Mills, and Brier Creek. On the other hand, if a posh single-family home with ample living space and plenty of room to grow is your idea of the perfect place to call home, try searching the area’s premier subdivisions, which include communities like Lake Boone, Linville, Faircroft, Country Club Hills, Greywalls, and Bay Leaf Farm. For more information on Raleigh, NC homes for sale, or to schedule a private showing for an active home listing, give Brandon Duncan with Duncan Prime Realty a call at (919) 808-2001 and make an appointment today! Raleigh offers a variety of school choices. The public schools are managed by the Wake County School System, which offers an impressive number of services and programs such as STEM Schools and Career Academics. Families may also choose to take advantage of the highly rated public charter schools in the area, such as Raleigh Charter High School, which is consistently rated as one of the best high schools in the state. There are also plenty of private schools to choose from including Ravenscroft, one of the area’s best known private schools. Of course, we can’t talk about Raleigh schools and not mention higher education. Raleigh is home to 11 colleges and universities, plus a variety of for-profit institutions of higher learning and satellite campuses. Area residents also benefit from educational programs at Wake County libraries. There are about 10 libraries across Raleigh offerring activities and programs for all ages. Travelling around Raleigh is relatively easy for a city. Raleigh is connected by I-440/I-40, which forms the Beltline (a loop around the city). The outer parts of Raleigh are also connected by I-540, a partial outer loop connecting Knightdale, North Raleigh, RTP, Morrisville, and Apex. One of the newest and best improvements to Raleigh’s highway system is the Knightdale Bypass. This makes for fast travel in east Raleigh and the eastern suburb of Knightdale. Raleigh is considered “car dependant,” however there are options for public transportation and there are communities friendly to walking and biking. Raleigh’s 5 most walkable neighborhoods are Central Raleigh, Hillsborough, Mordecai, Five Points, and North Central. ITB (Inside The Beltline) neighborhoods are some of the most walk/bike friendly in Raleigh. 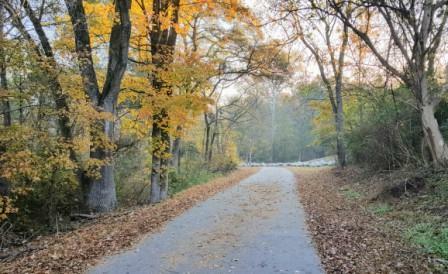 Plus, there are neighborhoods that connect to Raleigh’s extensive Capital Area Greenway Trail System, which connects communities and offers safe walking and biking opportunities throughout Raleigh. Public transportation is also available with GoRaleigh, which provides bus service throughout Raleigh. If you're in Downtown Raleigh, hop on the the R-LINE, a free bus service, or even grab a rickshaw! Raleigh also has an Amtrak station, which is one of the busiest in the Southern U.S.
Plus, Raleigh-Durham International Airport offers the opportunity to go anywhere in the world! With so many resources available, Raleigh is a great place to start a business. In 2016 MoneyRates named Raleigh as the number two best city for young entrepreneurs, and Business Facilities named it as a top tech startup city. Raleigh residents love the excellent parks, greenways, pools, and programs provided by the Raleigh Parks, Recreation and Cultural Resources department. The Raleigh Parks department operates over 200 parks! These include art centers, athletics, amusements, aquatics, community centers, dog parks, green spaces, historic homes, lakes, nature preserves, and, of course, playgrounds. Residents also enjoy a huge selection of programs for all ages throughout the year. Plus, there are two state parks in Raleigh, the Falls Lake Recreation Area and William B. Umstead State Park. 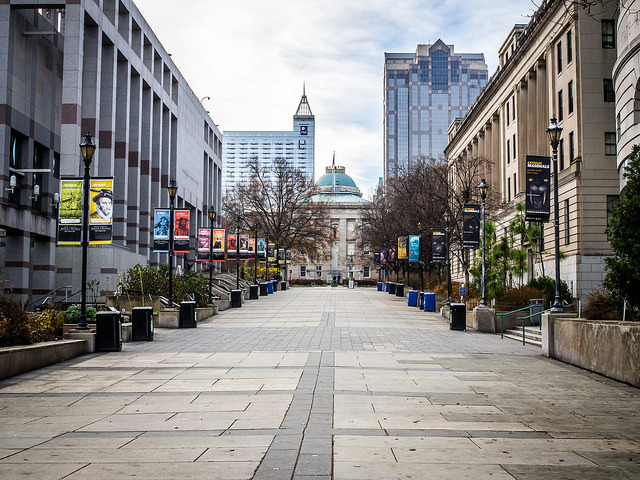 Like most college towns, Raleigh is loaded with cultural, educational, and historical destinations that attract thousands of visitors each and every year. 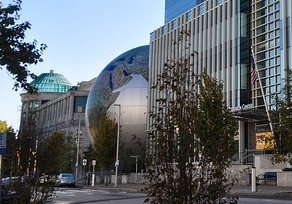 The Progress Energy Center for the Performing Arts is situated in the heart of downtown Raleigh, which features three theatre venues and is also home to the famed North Carolina Symphony. The science museum regularly tops lists for best things to do in Raleigh. In fact, it won the top spot for Best NC Tourist Attraction of 2015. There’s so much to see and do here! You can easily spend a whole day at the science museum, and still not discover everything. There’s over 25 permanent exhibits, a movie theater, and fantastic special exhibits. Best of all, it’s FREE! Founded in 1887, Pullen Park is NC’s first public park and is a perennial favorite. 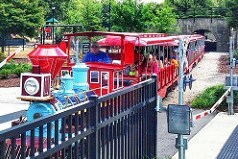 It features a historic carousel, kids’ boats, pedal boats, a train, playgrounds, aquatics, a cafe, and so much more. Entrance is free, and ride tickets are inexpensive. One of the South’s premier visual art centers and an award winning museum, the NC Museum of Art offer indoor galleries, an outdoor art park, trails, store, restaurant, and more. Permanent exhibits include contemporary art, ancient Egyptian artifacts, European Old World paintings, and sculptures. For children 10 and under, the Marbles Kids Museum is a world full of discovery. Kids will love the hands on learning play! Marbles offers many exhibits, an IMAX Theater, and camps. Kids can easily enjoy a full day of fun at Marbles. If you’re looking for something a bit more upbeat, the NHL’s Carolina Hurricanes based in Raleigh, while the restaurant and nightlife scene is among the best in the state. Whatever your budget, location, or craving may be, there are a lot of truly great restaurants and food trucks in Raleigh to choose from. These three restaurants consistently make the top of “Best Raleigh Restaurants” lists. At or near the top on every best Raleigh restaurants list, this Laotian restaurant consistently offers excellent food and fantastic customer service. Online reviewers rave about the crispy pork belly, complimentary shrimp crisps, and sticky ribs. An authentic Mediterranean bakery and deli, Neomonde is a popular choice in Raleigh. Reviewers love their tabouleh, kabobs, and especially the baklava. This Venezuelan favorite offers fresh, flavorful food at reasonable prices. In fact, it’s near the top of Best Cheap Eats in Raleigh lists. Online, people rave about Guasaca’s arepas. 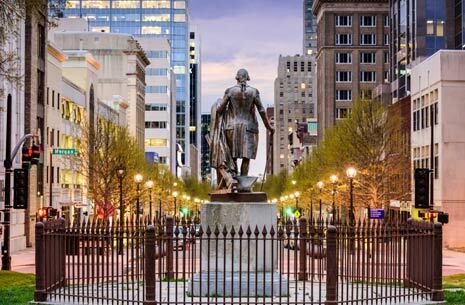 Named for Sir Walter Raleigh, the city of Raleigh was not always the state capital of North Carolina. The site was chosen to be the capital in 1788. The city’s location was chosen thanks to its central location. Throughout its history, Raleigh has been a place where people find opportunity. The city’s continued growth and improvement has been recognized by many, and Raleigh boasts a large number of awards and accolades including #1 Best City in the Southeast. One of the fastest growing cities in the U.S.